(Bloomberg) -- A centerpiece of Special Counsel Robert Mueller’s two-year investigation -- his indictment of 16 individuals and companies in Russia for interfering in the 2016 election -- now threatens to backfire in a court-ordered release of U.S. intelligence-gathering secrets. The U.S. is in this predicament because the Russian company unexpectedly hired Washington lawyers to fight the case. Under U.S. law, prosecutors are obligated to turn over their evidence to the defendants -- and the company involved is run by a man so close to the Kremlin that his nickname is Putin’s Chef. On Thursday, she scheduled a closed-to-the-public case conference for April 10, "to address issues related to sensitive discovery." Friedrich previously heard arguments over the issue in a partly sealed hearing on March 7. "If many or all of these materials are permitted to go to Russia, they may as well be published for the world to see," former Justice Department national security lawyer Ryan Fayhee said. "There would be no way to protect them from being examined by Russian intelligence services." "There’s no such crime," Concord’s lawyer Eric Dubelier told Friedrich in October. He accused Mueller’s team of making up an offense to fit the facts, with the added jab that the "real" Justice Department would have never brought such a case. The judge denied his requests to throw out the case. Assistant U.S. Attorney Jonathan Kravis said in court that 4 million documents have been handed over to Dubelier, 3.2 million of them identified as "sensitive." Their importance has less to do with the value of each page. Instead, the documents cumulatively reveal what the U.S. was able to learn -- or not learn -- about specific accounts used by the Russians, according to Kravis. "Multiple entire accounts, viewed side by side, would implicate important law-enforcement and national security interests," the prosecutor said, arguing to maintain some control over what the defense can see. 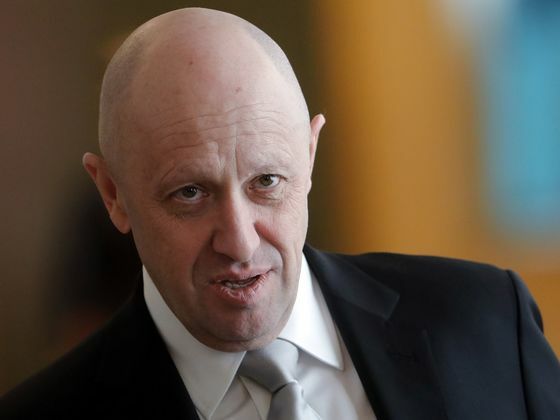 Prosecutors have said Concord executives, including its principal Yevgeny Prigozhin, can come to the U.S. if they want to see the evidence. But Friedrich acknowledged that if the man nicknamed "Putin’s Chef" did so, he’d likely be arrested. "The thing that makes this unusual is the interplay between the criminal case and the ongoing intelligence concerns," said Washington lawyer Robert S. Litt, who served as general counsel to the Director of National Intelligence during the Obama administration. "The entity that they indicted is an entity that they essentially believe is an agent of Russian intelligence." "This sensitive discovery is chock full of exculpatory information," Dubelier said in court. "We get to determine, in talking to our client, what documents, within that document set, we want to use." "I would be shocked if the judge issued a ruling like that," said Daskal, who served as counsel to the Justice Department’s assistant attorney general for national security during the Obama administration. She predicted Friedrich would attempt to strike a balance between both camps while maintaining some restrictions on who could see what. "I think the signal that it would send would be pretty devastating," she said.